HRC Executive Director Bernard Standard noted the previously confirmed speaker State Secretary of Education and Workforce Development Derrick Ramsey was unable to attend due to unforeseen scheduling conflicts. HRC Member and Unity Breakfast Planning Committee Chairman Jack Shah remarked, “We could not be more thrilled to have Dr. Young featured in this year’s special event. 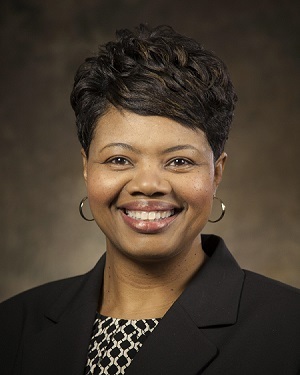 Her genuine passion for unity coupled with her always beautifully poised delivery are certainly something to look forward to.” Dr. Young is no stranger to supporting the Unity Breakfast. In 2008, she graced the audience with a beautiful musical selection. This year’s Unity Breakfast also boasts a new location at the James E. Bruce Convention Center. To be held on Thursday, October 25 at 7:30 a.m., the breakfast is a collaborative annual outreach program between the HRC and Mayor’s Office. Unity Breakfast tickets are still available and may be purchased from the HRC Office or any member. Individual tickets are $10 in advance or $15 at the door. Tables for 10 may be purchased for $100. For additional information, please call (270) 887-4010.